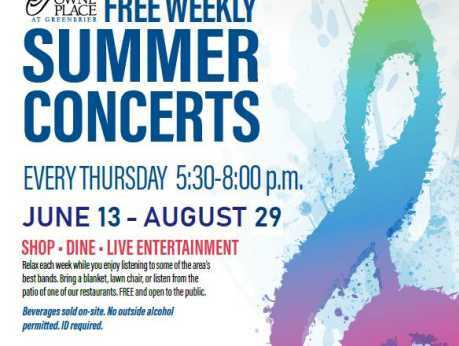 Join us as we kickoff The Towne Place at Greenbrier “Summer Concert Series” starting June 13, 2019 with The DeLoreans! 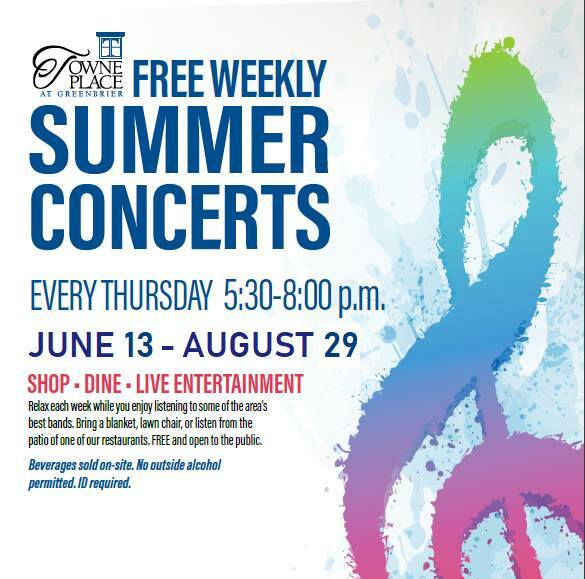 FREE concerts will be held every Thursday night, 5:30 PM to 8:00 PM, at the center located at 725 Eden Way North, off Eden Way North and Stephanie Way, in the Greenbrier section of Chesapeake. Held in the grassy area near the center’s gazebo, concert-goers are encouraged to bring their own lawn chairs and blankets for seating. They may also enjoy the music while dining at any of the center’s outdoor restaurant patios. Your Pie pizza will be available on-site, and guests may bring food inside the concert area from any of the center’s restaurants. Beer, wine and bottled water will be sold on site with proceeds benefiting The Chesapeake Sports Club and the Kiwanis Club of Chesapeake. No outside alcoholic beverages permitted. Id required.